On the Job by Anita Bruzzese: Is Your Vocabulary Holding You Back? It doesn't matter if you work remotely, in an open office or on a assembly line.The way you speak can have a big impact on your career. Why? Because a limited vocabulary may prompt you to stay quiet in meetings. Or, you may not understand what others are saying and so miss information from your boss or other senior leaders. In addition, at a time when all workers must continually improve their skills, a poor vocabulary could cause you to fall behind if you're required to read new material. Another problem may be that you're mispronouncing words. The other day on Twitter I saw someone refer to "intensive purposes." It's "intents and purposes." I've also heard other people say "upmost" instead of the correct "utmost" and "mee-mee" instead of "meme." 1. Hold yourself accountable. If you hear the boss or someone in a meeting use a word you don't know, take the time to look it up on dictionary.com and learn it's meaning and how to say it. (Don't rely on someone else's pronunciation, because he or she may be saying it wrong.) Once you use it in a conversation naturally about three times, you can move onto another word. 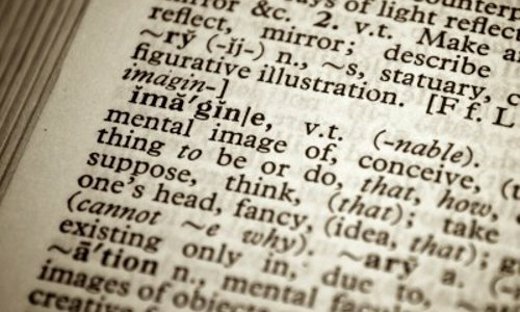 The dictionary.com website also offers words of the day, which can be a fun way to expand your vocabulary and increase your confidence. 2. Pay attention to key words. If your boss or other executives use words such as "acumen," "affinity," and "visceral," then you need to become comfortable using them. Such "power words" can help executives be more comfortable with you. Make sure you note the context in which they are used and try to replicate them in similar conversations. 3. Ease into it. While you're building your vocabulary, don't feel you have to incorporate every new word or phrase into your conversations right away. You may be more at ease trying new words at the rate of about one a week, or practicing them in front of the mirror. Or, try calling into a podcast and using your new skills -- sometimes that sort of format reduces the initial trepidation. I would like to personally congratulate you as your blog On the Job has been selected by our panelist as one of the Top 100 Career Development Blogs on the web. I personally give you a high-five and want to thank you for your contribution to this world. This is the most comprehensive list of Top 100 Career Development Blogs on the internet and I’m honored to have you as part of this!